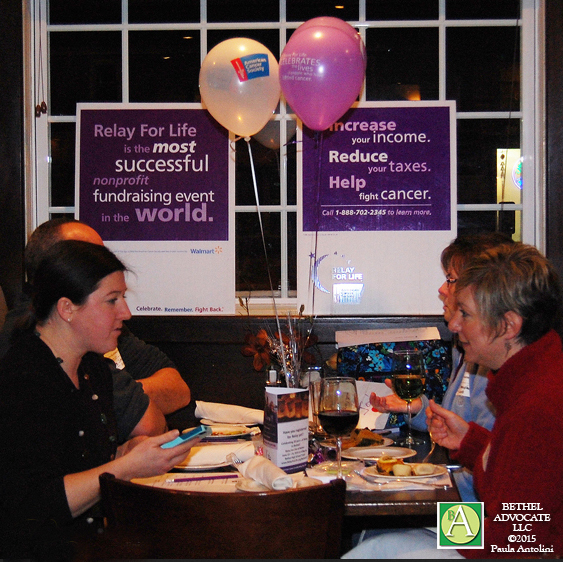 The American Cancer Society Invites Community Members to Celebrate and Participate in the Annual Relay For Life of Greater Danbury Kickoff on Thursday, Feb. 21st. The American Cancer Society is calling on all Bethel, Brookfield, Danbury, Newtown and Ridgefield Community Members to participate in the Annual Relay For Life of Greater Danbury Kickoff on Thursday, February 21st starting at 6:00pm at the Arthur Murray Dance Center of Danbury, 345 Main Street, Danbury, CT. The Relay For Life movement is the world’s largest fundraising event to save lives from cancer. Uniting communities across the globe, the event celebrates people who have battled cancer, remembers loved ones lost, and takes action for lifesaving change. This event is open to all community members to learn more about the Relay For Life movement. Teams and participants are encourage to sign up for fundraising starting at this annual Kickoff, and can sign up any time leading up to the event. Relay For Life brings the community together, embracing their collective power to free the world from the pain and suffering of cancer. Funds raised help the American Cancer Society provide free information and support for people facing the disease today, and fund cancer research that will help protect future generations. For this event, community members are encouraged to bring their own mask, family, friends and community members out to “Unmask A Cure”! For a recommended $5 donation kickoff participants can gather some important information for our upcoming season, create their own mask, and learn a dance step or two – all while enjoying some food and fun! As a thank you for your continued support, Arthur Murray is offering a COMPLIMENTARY LESSON to anyone who attends the kickoff! GreaterDanburyRelay@yahoo.com or by calling (203) 563-1520. To learn more or register for this year’s event please visit www.RelayForLife.org/BethelCT.